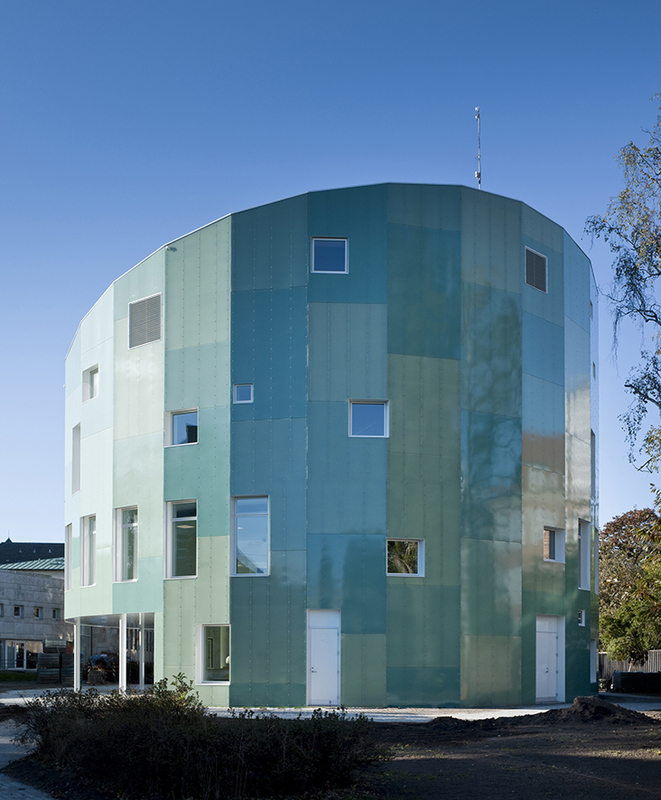 Building Design B127, houses the building design study programmes at Technical University of Denmark (DTU). 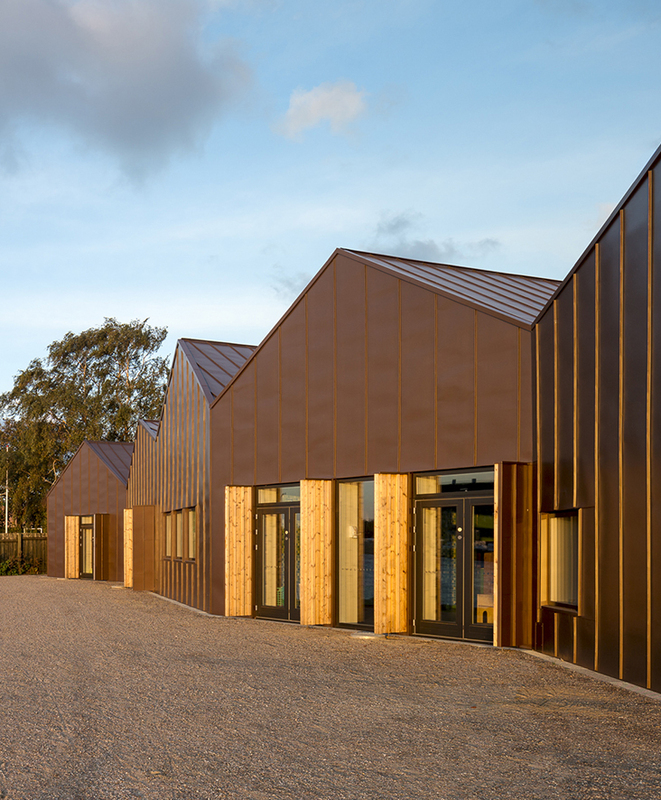 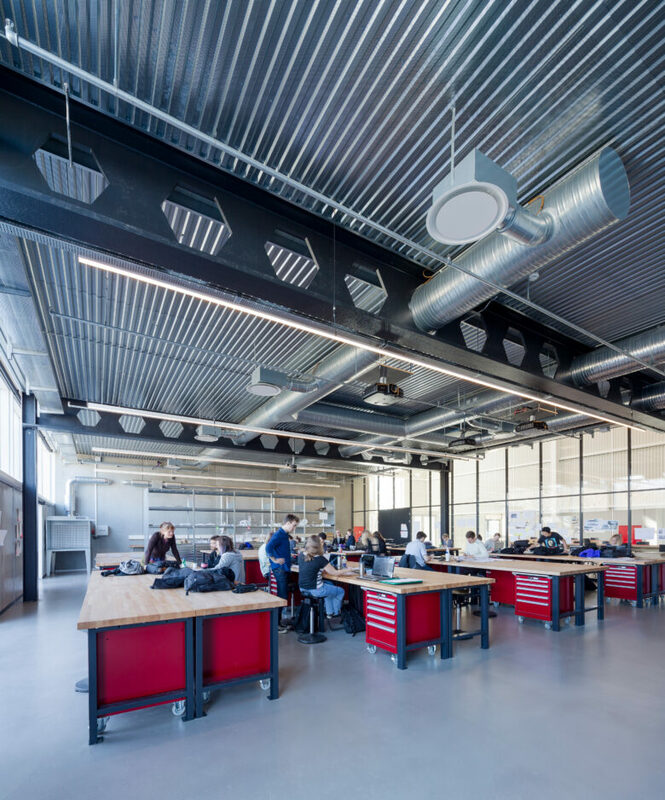 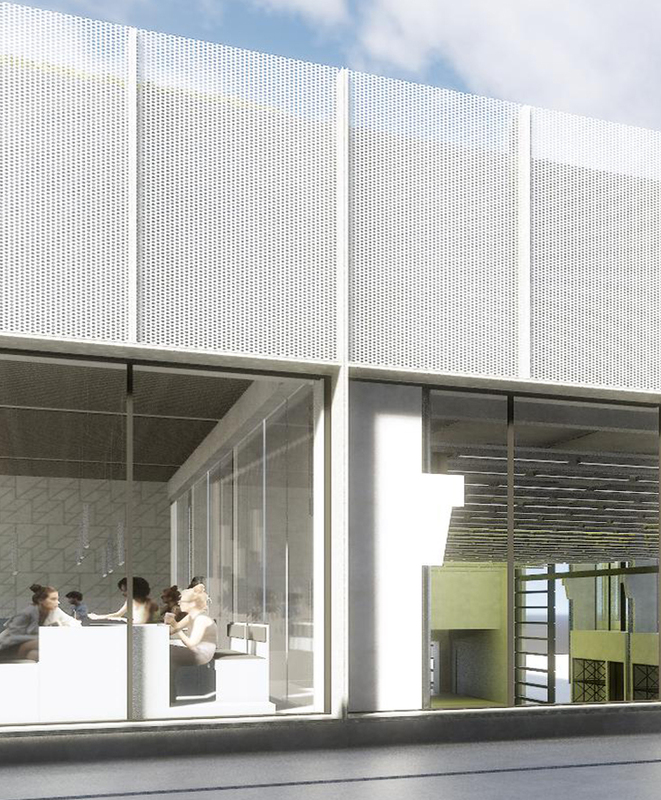 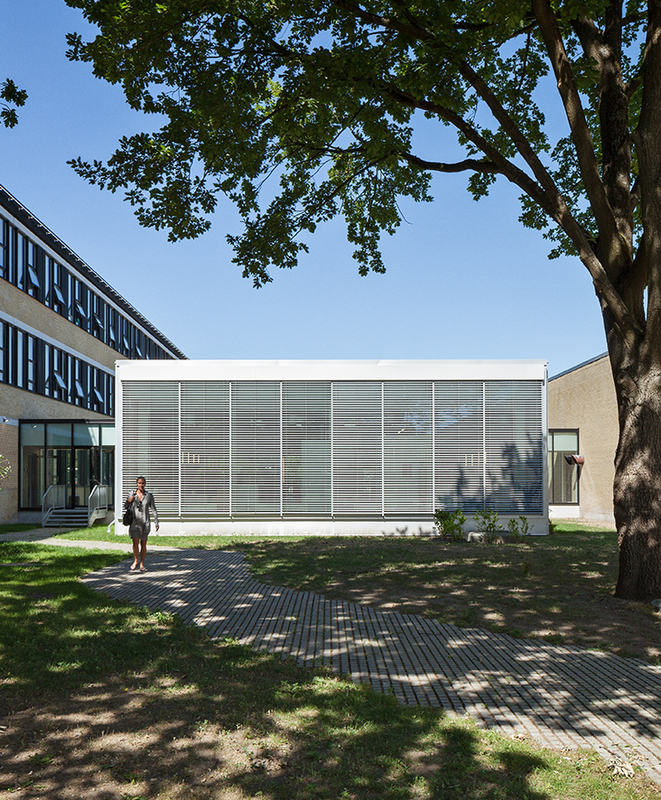 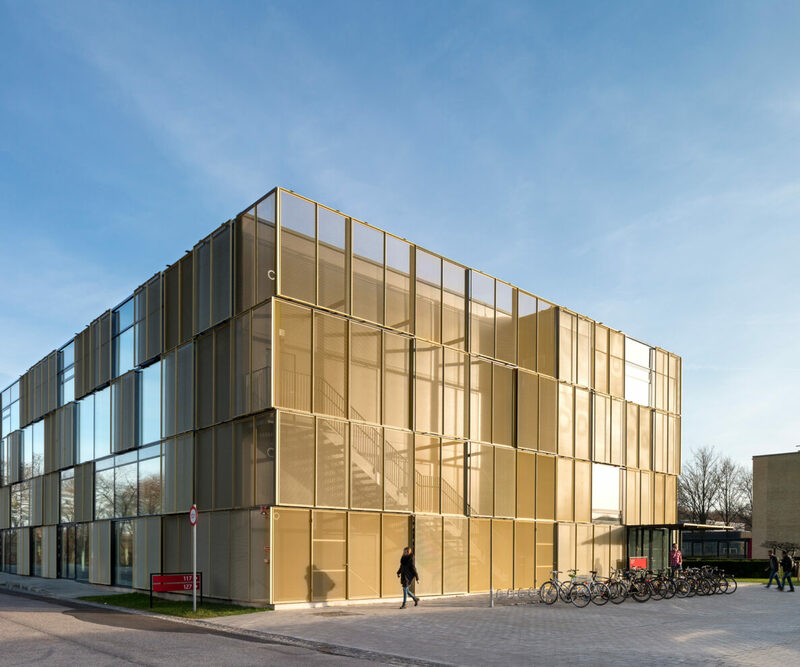 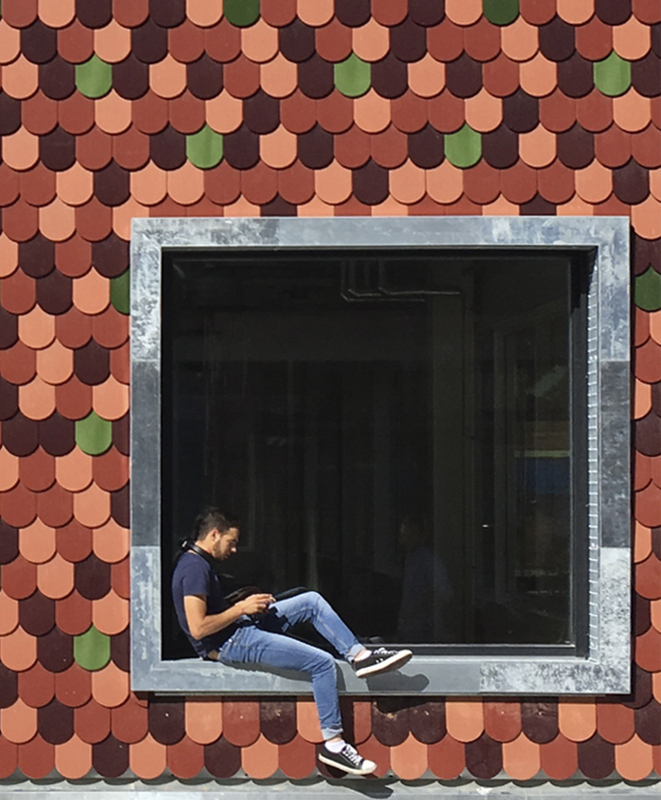 The hybrid education focuses on architectural design combined with technical engineering, thus the building is designed as a large workshop that offers a social study environment with a significant flexible architecture. 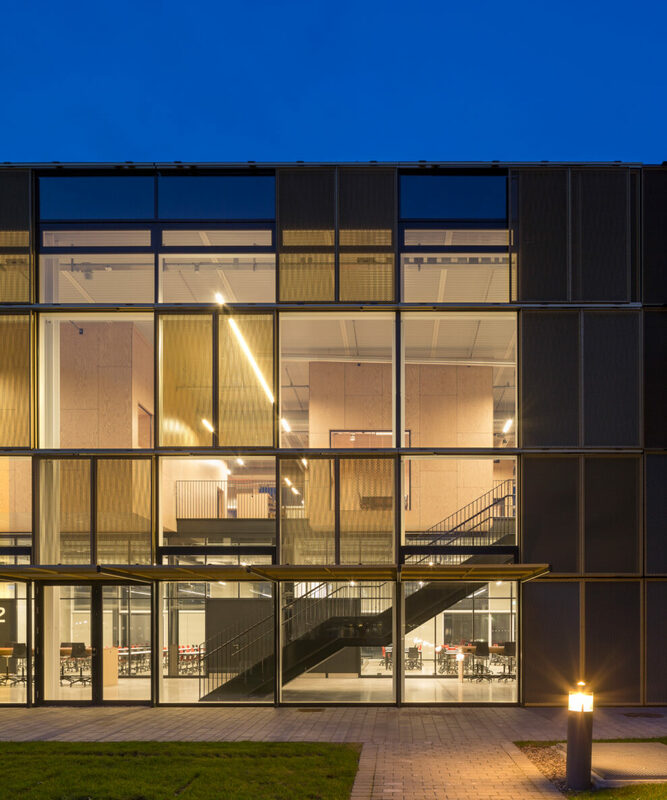 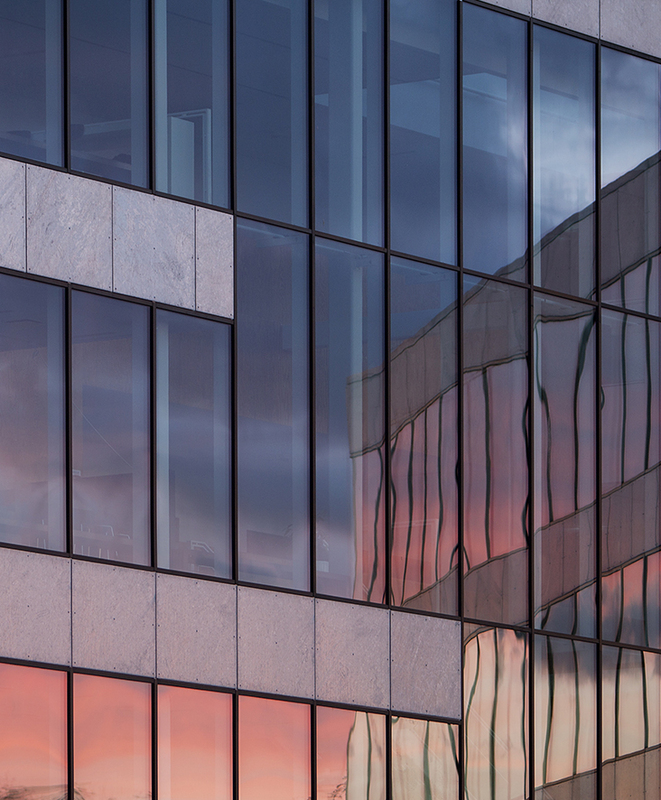 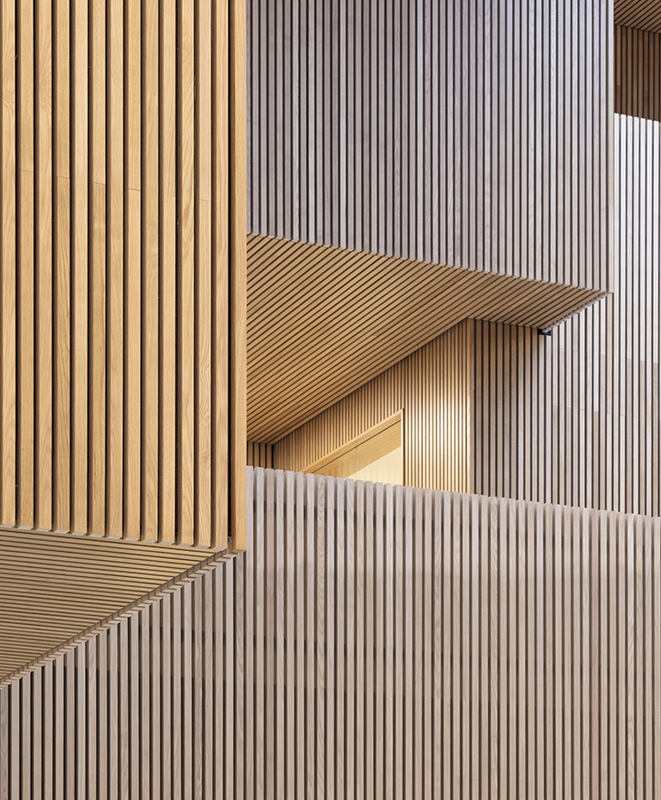 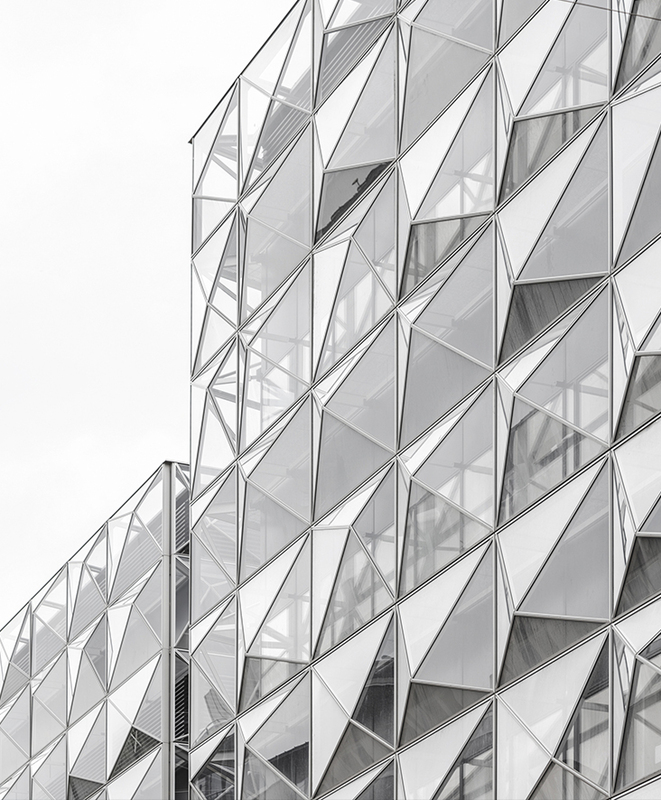 The design of the building fundamentally, yet respectfully, transforms the original architecture of DTU, and plays with contrasts between inside and outside, open and closed, transparent and reflective. 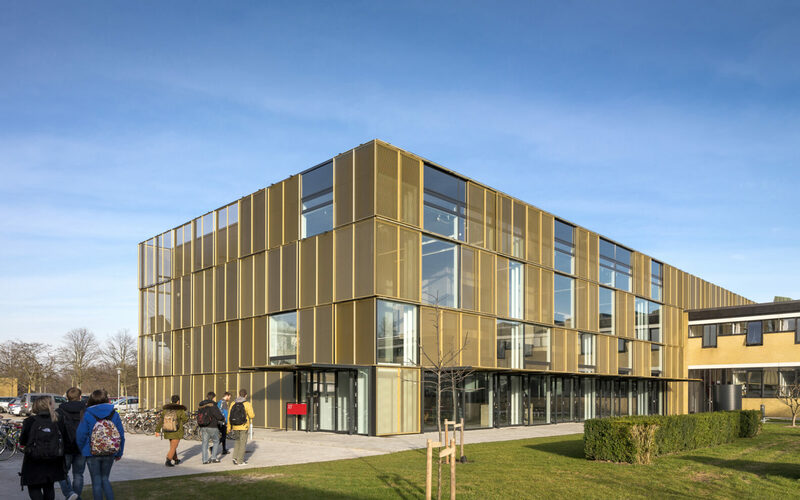 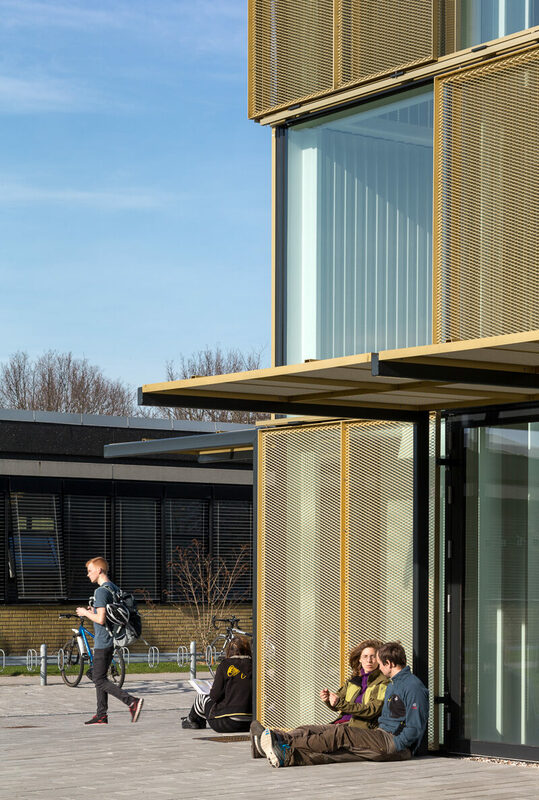 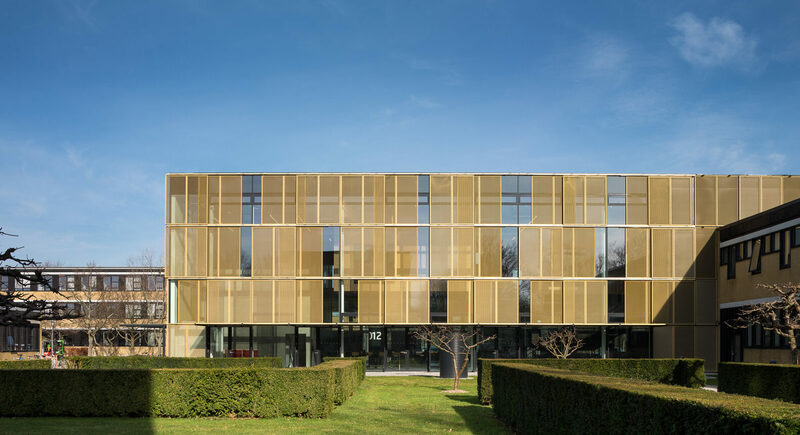 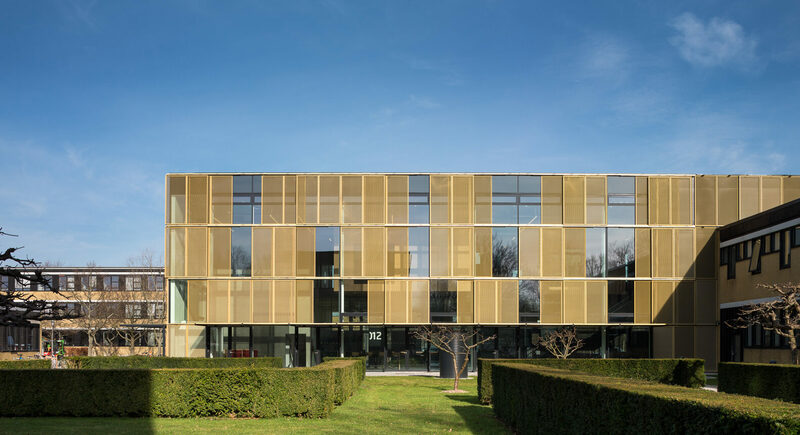 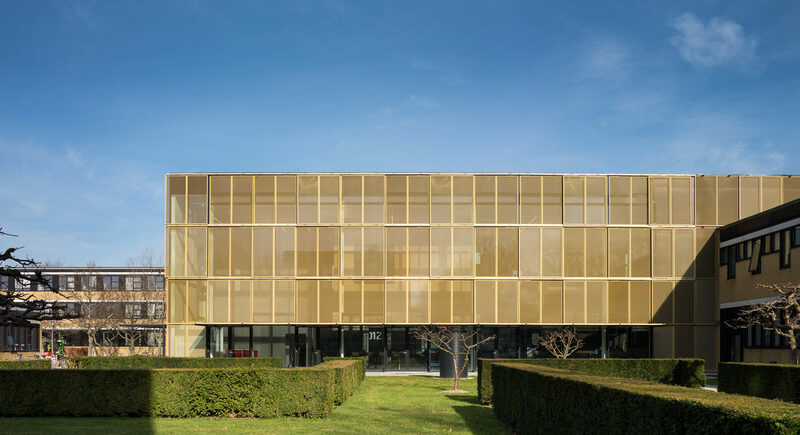 The façade is made of gold-anodised aluminium, black steel and dark glass surfaces, while the interior provides a refreshing alternative to DTU’s long corridors. 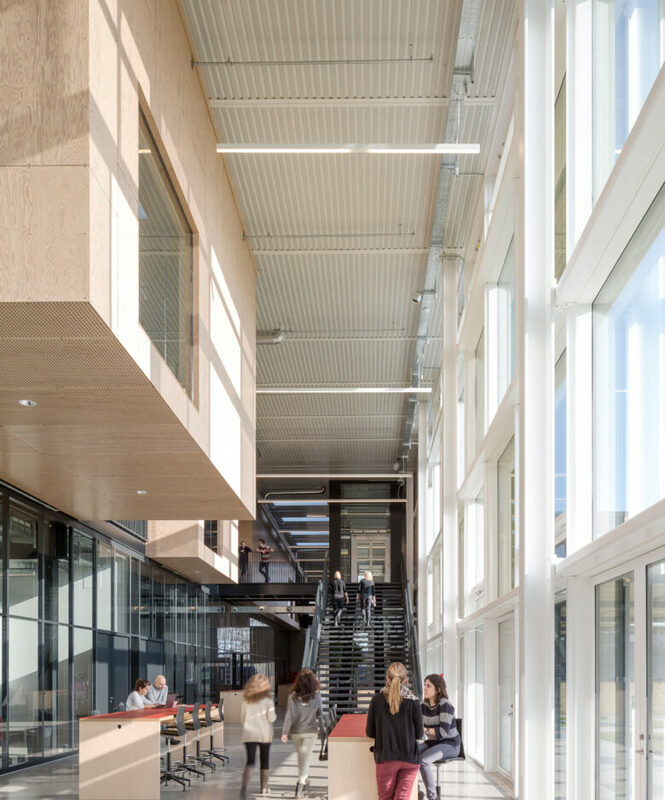 The building’s main axis is the atrium with spaces for formal as well as informal meetings. 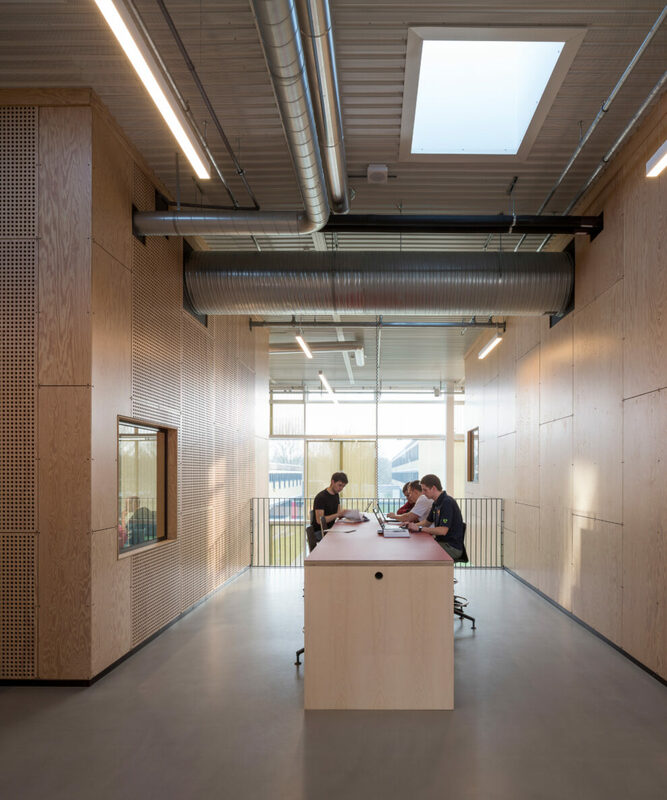 Various project rooms for larger and smaller groups are located on the first floor. 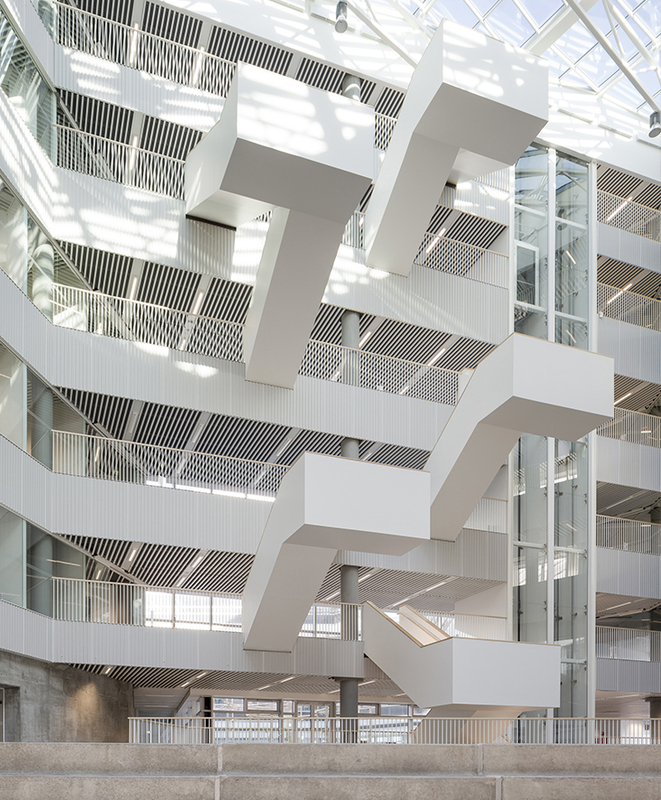 Throughout the building constructions and installations are exposed to reveal the complexities of modern building design. 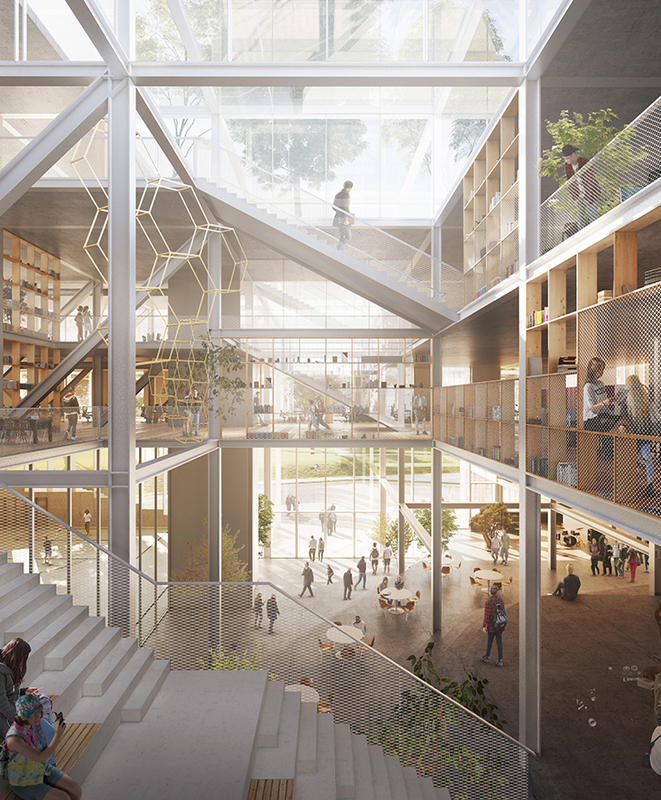 Panoramic windows open the indoor atrium towards the surroundings with a fruit garden at the southern end contributing to the atmosphere.